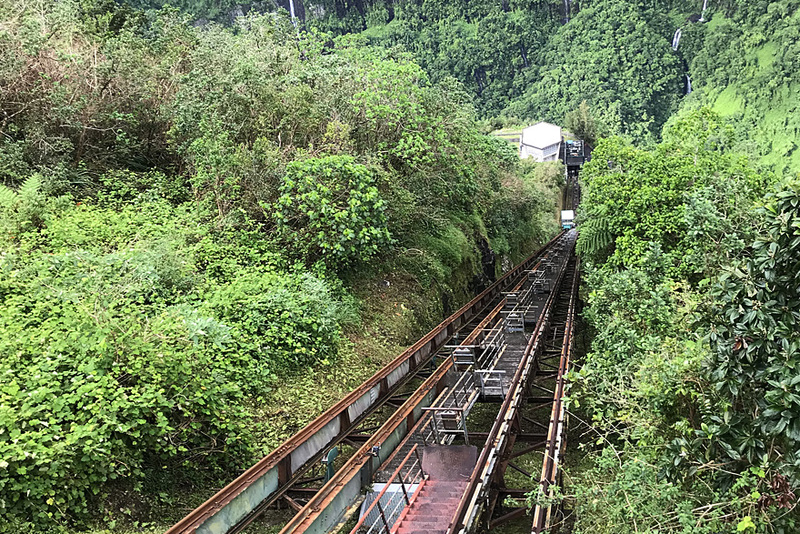 Takamaka funicular allows EDF employees to access the two hydroelectric generating stations: Takamaka 1 and 2. Located in the rainiest area of France, it is subjected to harsh weather conditions (7 m of rain or water per year). The funicular is flexible: it can be used to transport equipment or it can be used to transport personnel through the addition of a cabin. 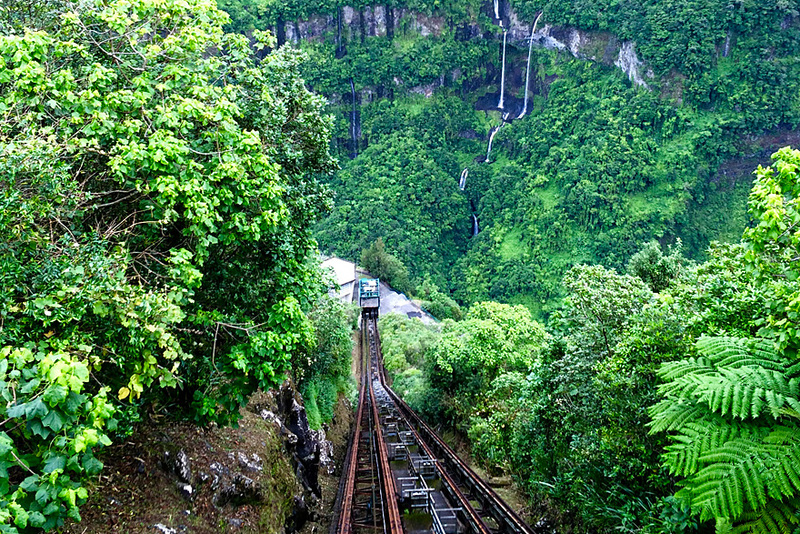 The very steep slope (close to 100%) and the important rolling load require a particular rail brake, in this case a standing rope system damped through an hydraulic cylinder in the upper station.